A Long-Range Tesla Model 3 with a mere 11,079 miles on the odometer should still enjoy its full 310-mile range. But, if you only charge it to between 50 and 70 percent for an extended period, you may see a huge drop in that figure. Luckily, this is both reversible and avoidable. The video above explains the whys and hows of this phenomena, but we'll give you a quick summary. This was the first time she had tried to fill the battery pack all the way up. Because she had heard it said from experts that lithium batteries are happiest around 50 percent, she tried to keep her car's charge in that neighborhood. While that information was technically correct, what makes sense in a lab doesn't always completely translate to the car in your garage. Puzzled and frustrated, she took her car to a service center where they told her the 70-percent charging routine was the source of the problem. 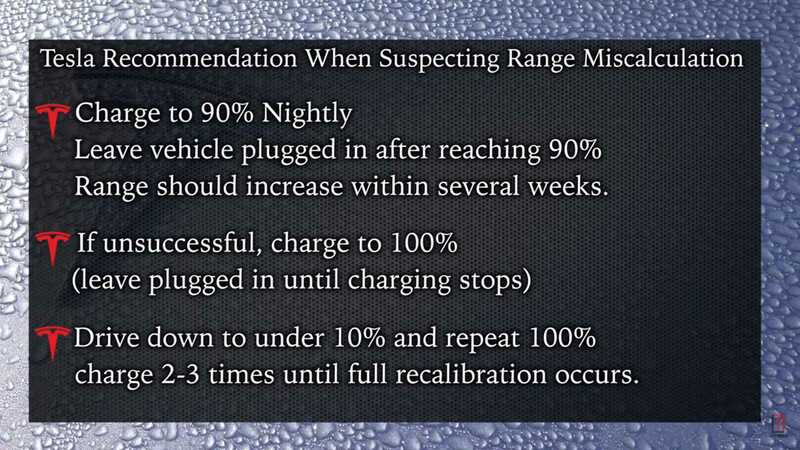 They recommended charging to 90 percent daily, despite Tesla CEO Elon Musk recommending, in a tweet from March of 2014 (embedded below), charging to 80 percent for a particular customer's situation. 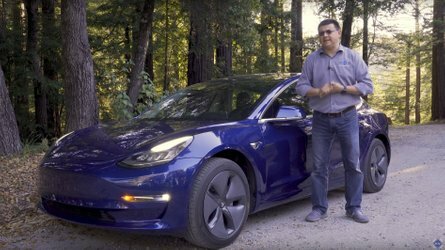 After giving the car a "hard reset," her Model 3 once again began showing its full range potential on the screen. They then suggested a new charging regimen to keep her car happy. Basically, they say that, besides charging to 90 percent regularly, one should also charge to a complete 100 percent at least once every three months. Also, it's helpful if a car if left plugged in after it reaches a full charge, as it will take this opportunity to do some balancing work. Being skeptical of this new recommendation, Kim decided to take her questions all the way to the top, asking Musk in a Tweet about the best state of charge practices. He replied (embedded below) that it's not "worth it" to go below 80 percent and that 90 percent is still fine. He added that discharging to 5 percent or lower wasn't an issue (for battery pack health).